So it’s been a good season, right? 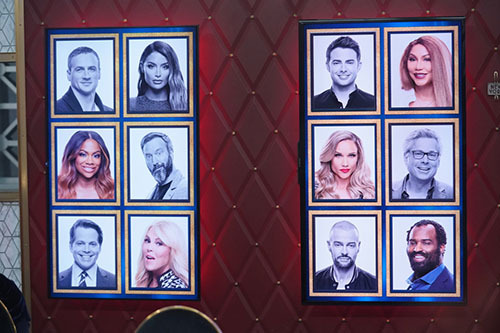 It has flown by so incredibly fast, that it’s almost hard to judge, but I think that Celebrity Big Brother Season 2 has thus far served its purpose: Cheesy, disposable fun. Big Brother is not a game reserved for intellects, and this isn’t any sort of dig at the game or its fans! There’s nothing wrong was entertainment that is sort of digestible and light. And while some celebrities have really stolen the spotlight (I see you Tamar Braxton! ), with the numbers whittling down, we are starting to get some great moments with the rest of the group (like Dina Lohan and Kandi Burruss), whom up until recently haven’t quite made their mark on the game. All that changed though since Kato left the game. Kandi has proven herself to be a strong-willed individual who has handled herself nicely in the game. She has also managed to impact the game in major, subtle ways. For example, although it was through Tom Green‘s HOH, it was Kandi who had suggested that he put up Natalie Eva Marie, which led to her being evicted. Her once fragile relationship with Tamar has become THE relationship to watch this season, as the duo of Kandi and Tamar seems to be the most powerful pair left in the game. To go off on a tangent for a moment though, my favorite scene of the past week has GOT to be the one where Dina realizes that her relationship of five-years is probably a catfish situation. The way Kandi looks at Dina when she discovers that Dina has never actually seen this guy (“he doesn’t use an iPhone”) is perhaps my favorite facial expression of the season. Then to counter this with how Tamar hilariously reacted, just shows you the different styles that Kandi and Tamar bring to the table. Dina still hasn’t had much of an impact on the game, and I don’t think she’s done enough at this point to have any chance of winning. But at least she provided us with this scene. If there is any one wish I have for the finale night, it’s that the Celebrity Big Brother producers track this dude down and either unite him with Dina at the Live finale or expose that she’s been catfished. But again, the last two days were all about Tom Green. Having lost his one true ally in the game, he went on to win HOH, shifting the game in a major way…following this up with a POV win to boot. Despite having had it out for Ricky Williams the entire season, at the last minute he decided to pull Ricky off the block and put up Lolo Jones, effectively ending their reign of supremacy. Was it a good move, or should he had still pushed for Ricky to go? I don’t blame Tom for not having any trust that anyone else in the game would vote for the person he wanted. And at the time Tom was hoping the move would be some sort of olive branch to Ricky. It didn’t end up mattering once Tom was sent home as the second victim of the double-eviction night. Still, let’s face it: Tom Green had an uphill battle the whole game. He really was out of moves to make. I give him credit for the attempted shake-up, and the chaos that it brought did make for some exciting TV. Episode Take-Away: With Tom now out of the game, the next HOH is crucial. After all of the chaos, we’re down to five players: Ricky, Lolo, Tamar, Kandi, and Dina. The presumed front-runners have to be Ricky and Lolo who are still aligned, but don’t count out Kandi and Tamar just yet. Since it is unlikely Dina will win HOH, if any of the other four win they are likely going to put up the opposing pair, and in doing so, the vote will be Dina and an ally voting for who goes home. Because Dina is aligned with Kandi, that means odds are slightly in favor of Ricky or Lolo going home next. However, if one of them wins HOH, they can get Tamar or more likely, Kandi, out of the game (even if Dina were to vote for Tamar, if Ricky/Lolo voted for Kandi, the HOH – in this scenario being Ricky/Lolo – would be able to break the tie and send Kandi out. Julie Chen also dropped the bomb that the following HOH winner (at Final Four), would basically get to hand-pick the one person they want to go to the Finals with, officially eliminating the other remaining two. I’m not a big fan of this power twist personally. These players have worked too hard for the entire game to come down to just one HOH comp for that much power. But if loyalty lives, considering my above scenarios, then there are only TWO final outcomes that make sense: It will either be Ricky and Lolo in the finals or Tamar and Kandi. The only other outlier would be if Dina, by some miracle, won that final HOH, in which case she would probably take with her the surviving member of the Tamar/Kandi alliance. 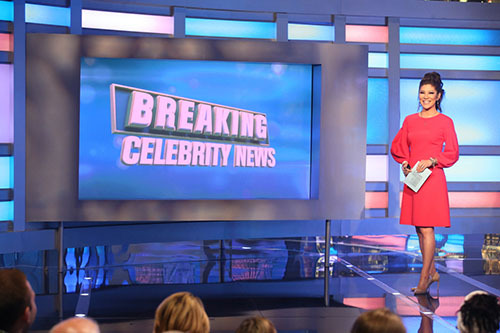 RELATED: Celebrity Big Brother Premiere Recap: Expect The Unexpected! Quick Note! I appreciate that you are reading this recap! There are only TWO episodes of Celebrity Big Brother remaining this season, which means that there is only one Recap left! It will come following the Season Finale, which is Wednesday, Feb. 13th. And then for all of my Survivor peeps, don’t go anywhere! “Survivor: Edge of Extinction” begins the following Wednesday, Feb. 20th, and I’ll be back recapping that as well! We will be back following the Finale episode! Thanks for joining me this season, now let’s talk Celebrity Big Brother!